NEPAL. Achham District. 2004. 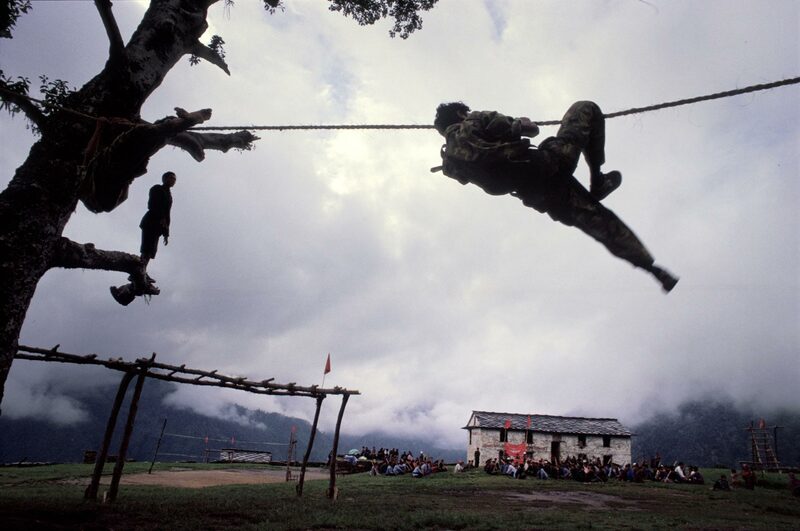 A man crawling across a rope at a Maoist training camp in the foothills of the Himalayas.